This harness connects the data stream from your Big Stuff 3 to the Racepak IQ3S, IQ3D or Universal CAN module. This harness connects the data stream from your ECU to the Racepak IQ3S, IQ3D or Universal CAN module. 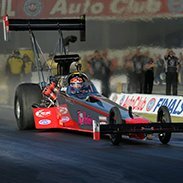 This harness connects the data stream from your Holley EFI to the Racepak IQ3S, IQ3D or Universal CAN module. This harness connects the data stream from the XFI ECU to the Racepak IQ3S, IQ3D or Universal CAN module. This harness connects the data stream from your Atomic TBI to the Racepak IQ3S, IQ3D or Universal CAN module. 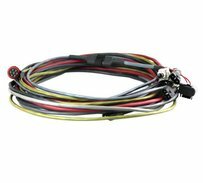 This harness connects the data stream from your Fueltech ECU to the Racepak IQ3S, IQ3D or Universal CAN module. This harness connects the data stream from your Link ECU to the Racepak IQ3S, IQ3D or Universal CAN module. This harness connects the data stream from your MEFI to the Racepak IQ3S, IQ3D or Universal CAN module. 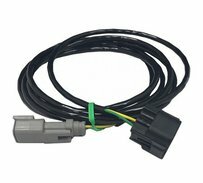 This harness connects the OBDII data stream from your vehicle to the Racepak IQ3S, IQ3D or Universal CAN module. Engine RPM pickup wire on the Engine RPM/Temp Harness for the Vantage CL1 data box. This female dust cap is used to prevent debris from collecting in an exposed interface or analog connection. This male dust cap is used to prevent debris from collecting in an exposed interface or analog connection. 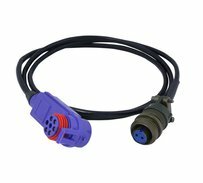 Cable to extend Analog and Interface Module connections on V300/V300SD, V500/V500SD and G2X Pro data loggers. 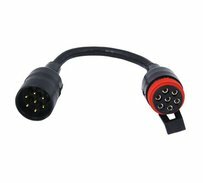 This cable allows you connect your Vantage CL1 data box to the OBDII port on your 2008- or later model vehicle. M8 sensor connector for the Vantage CL1 data box. 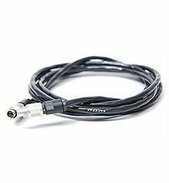 Y-splitter cable to adapt a digital and an analog input into a single connection to the Vantage CL1 data box. 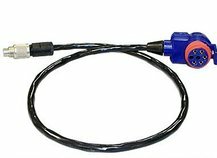 Pigtail to monitor amperage from an MSD Ignition Coil. For use with a Pro III data logger only. Optically transmits Engine RPM from inductive pickup to SC1000, Pro 1, Pro 1B and Pro II data loggers. Sold by the foot. Brass optic nut used to secure optic cable to SC1000, Pro 1, Pro 1B or Pro II data loggers. Plastic optic nut used to secure optic cable to inductive or battery ignition RPM pickup. 13-pin Hirose cable used to connect directly to Pro 1, Pro 1A, Pro 1B and Pro II RPM modules and transducer boxes. 3-pin Molex pigtail for MSD 8971 Ignition Box to provide Delay Box RPM to a Pro 1B or Pro II data logger. 3-pin Molex pigtail for MSD 8771 Ignition Box to provide Delay Box RPM to a Pro 1B or Pro II data logger. 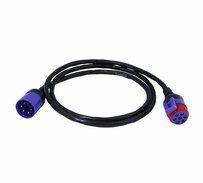 This cable is used to connect the Pro III or Pro IIIA data logger to the Racepak Pro Dash. Please specify length when ordering. 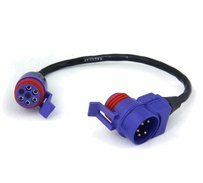 3-pin Molex pigtail for MSD 8771 Ignition Box to provide Delay Box RPM to a Pro III or Pro IIIA data logger. This clip helps fasten the Engine RPM wire lead from the Vantage CL1 data logger to the spark plug wire. Cable used to connect a Switch Panel, Switch Module or Keypad to the Smartwire unit. USB charging to charge the Vantage CL1's 4 AA rechargeable batteries. Also includes pigtail adapter (28118-2002). This pigtail adapter connects the USB Charging Cable to the M8 connector on the Vantage CL1. USB Adapter to 9-pin Serial Port. Cable to extend V-Net connections. This 9" T-cable is used to connect a Smartwire to their V-Net sensors and/or data logger. This 18" T-cable is used to connect a Smartwire to their V-Net sensors and/or data logger. This 36" T-cable is used to connect a Smartwire to their V-Net sensors and/or data logger. The Vantage EFI module connects the CL1 to over 20 aftermarket ECU's. Requires use of optional ECU Interface adapter cable.